Transportation has undergone new trends and alterations in the form of rideshare companies like Uber, Lyft, and Turo, but it has now moved in a more sustainable and less environmentally-damaging direction with the presence of electric scooters. Bird, a company founded by an individual who worked for both Uber and Lyft, provides motorized scooters for people to rent. They can ride to their destinations and leave the scooters anywhere they wish, unlike some of the public bicycles that must be placed at stations. However, this hands-off attitude exhibited by both the company and the customers has led to citizens complaining about discarded scooters and reckless riders. Motor vehicle operators have also expressed irritation with the problematic way that some people ride the scooters. Lawmakers have been working to keep the trend legal and under control, but accidents still happen. What should I do if I fell off and got injured by a Bird scooter? What do I do if a Bird scooter injured me? What are some steps to take after a bird scooter accident? What do I do if I fell off a bird scooter and I got hurt? What should I do if I was struck by a Bird scooter? What do I do if I was hit by a Bird scooter? Can an attorney tell me what to do after an accident on Bird scooter? Bird provides electric scooters that can be unlocked with an app and driven around for a small fee. The cost and ease of access is one of the main selling points – the scooters can be rented for less than 10 dollars for a rather lengthy trip. Despite being so cheap and being lauded as innovative, many individuals have lambasted the company for dropping the scooters off and not dealing with the aftermath. Pedestrians have complained about discarded scooters being tripping hazards and blocking pathways for disabled individuals. Drivers in cars have had to swerve to avoid many scooter riders who do not have reflective lighting or whose scooters aren’t outfitted with lighting fixtures. Some accidents have already happened. There are rules to using a Bird scooter, but they are seldom followed. For one, you have to be over the age of 18 and possess a valid driver’s license to ride one, and a helmet must be worn at all times. Only one person may ride the scooter at a time, and you must keep at least one hand on the handlebars. You must not ride on the sidewalk and must obey all traffic laws, and the scooters must be placed in legal parking spots when discarded. The refusal to follow these rules has resulted in numerous accidents and injuries. Some of the damages that people have suffered include broken hand, broken hip, spinal cord injuries, neck injuries, disc injuries, knee damage, arm damage, concussion, head injuries, brain injuries, internal organ damage, crushing injuries, and more. Because of the risks involved with the scooters, many have taken to filing a Bird electric scooter accident injury lawsuit. Our lawyers can help you take legal action if you were hurt in a crash or if a scooter malfunctioned and caused you injuries. One of the most important things to note about Bird, however, is that it does not have an insurance company representing it. It is self insured and handles all claims itself. This can be troublesome if you have never submitted a claim to a self insured business. It also means that many settlements are private, and you might not know what people have earned from taking legal action. Fortunately, our law firm has experience in this area, and we can sufficiently represent you if you wish to sue Bird for your injuries from an accident. It is crucial that you follow these steps to take in a Bird accident if you wish to pursue a lawsuit for your damages. Get medical attention for your injuries, even if you feel you were not hurt. The longer you wait to seek medical assistance, the likelier it is that Bird will claim you were injured in an accident while not using their product. Report the incident to Bird and take a screenshot of the ride information showing that you were renting it and riding it at the time of the crash. Preserve the scooter if possible to show that there were defects or problems. If you cannot keep the scooter, take as many pictures of it as you can. Take photographs of your injuries, the scene of the crash, and more. Gather eyewitness statements and testimonies detailing what happened, if there were any bystanders who saw the event transpire. If another vehicle was involved and struck you, contact the police department and request a police report for your evidence. Contact a law firm with experience in Bird injury lawsuits. A lawyer will be able to handle your case for you and see to it that bird does not mistreat you or ignore your claim. What should I do if I was injured on a bird scooter? If you were injured on a Bird Scooter, you should follow the above steps and do all you can to stay safe and healthy following the accident. You should collect your evidence to submit in a claim and get in touch with an attorney to try and file a lawsuit against Bird if there were any negligence on their behalf. Can you sue if you got injured riding a Bird scooter? You can sue if you were injured riding a Bird scooter. You may be able to bring a claim against Bird if the scooter were defective, against a motor vehicle operator if you were hit by a car, against a business for placing hazardous materials in the roadway, and more. Do I need a lawyer if I got injured by a Bird scooter? Yes, you need a lawyer if you were injured by a Bird scooter. Bird will likely not take your case seriously if you approach them by yourself, and an attorney can ensure that your lawsuit is at the front of the queue and is being adequately handled by one of their representatives. You may not have the energy, time, or knowledge to negotiate a settlement from the insurance agent at Bird; a lawyer can take care of this while you rest up and focus on healing from your injuries. Who do to I contact at Bird if I was in an accident? You should contact an attorney that specializes in Bird accident cases. 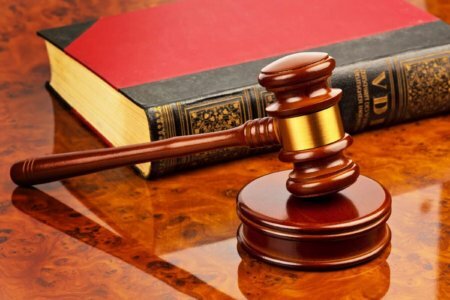 An experienced lawyer will know the best methods to winning you a settlement and will know the way Bird operates when it comes to these claims. Because a Bird injury lawsuit is a personal injury claim, you can receive numerous types of compensation for your damages. The company will be made to pay for your medical expenses, property damage, lost wages, emotional pain and suffering, and more. You should not be held responsible for these damages if Bird acted negligently in some way. You could sue the company, the driver of another vehicle, a fellow Bird rider, and much more. Bird scooters are very dangerous, and we know that a tragedy can happen at any time. Cars may speed and if an impact occurs with someone on a Bird scooter, it could spell disaster. If a loved one family member passes away due to injuries suffered while on a scooter, you could collect wrongful death expenses, which would pay for the funeral and burial, cover medical bills from prior the death, cover the pain and suffering the deceased went through beforehand, reimburse you for loss of consortium, and reimburse you for loss of expected earnings and savings. Contact one of our attorneys to learn more about the potential earnings you can receive from Bird after a crash. The statute of limitations to file a claim against Bird for injuries you suffered from a crash is two years from the date of the injury. If you delay the claim, you may eventually find that the time has run out, and you won’t be able to pursue a lawsuit at all, resulting in no chance for compensation. You may have wasted all your time gathering evidence or trying to assemble a slam-dunk case, but if you aren’t paying attention to the time limit, it will all be for naught. There are some exceptions to this two-year rule, however. Some individuals might have been underage at the time of the accident, which would cause their statute of limitations to not begin counting down until they turned legal age of 18. If the crash were particularly severe, you could have been extremely hurt, whether mentally or physically, and unable to file a claim. Your statute would be suspended until you returned to functioning health. The defendant may also have left the state in an attempt to get away while the statute runs out. However, the statute does not run out if the defendant left; it only becomes temporarily suspended until he returns. To determine how much time you have to file a lawsuit again Bird, contact one of our expert lawyers at Kenmore Law Group today. Although Bird scooters are present across the United States, there is a disproportionate amount of accidents in those cities and states with higher populations. If you were in any of the following Texas or California cities and you were hurt in a Bird scooter accident, you can take legal action. 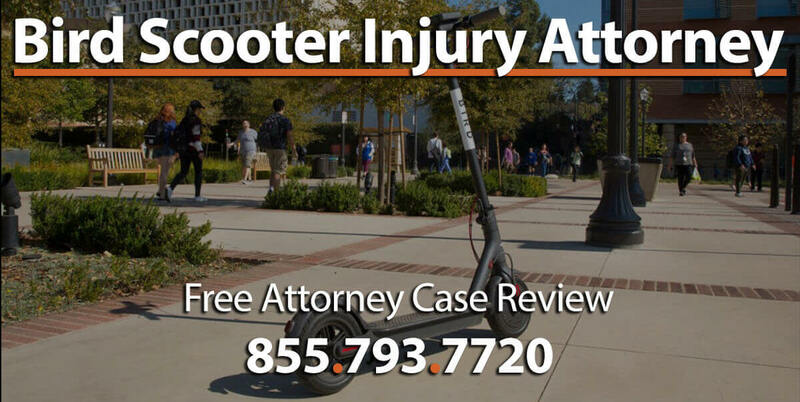 Speak with one of our lawyers if you intend on filing a broken Bird scooter injury lawsuit. We can help you prepare for your case and adequately represent you. If you are on the hunt for a Bird scooter injury lawyer, look no further than Kenmore Law Group. We can provide you with a skilled attorney who has experience handling Bird scooter lawsuits. We will aggressively pursue your rightful compensation from the company and won’t stop until you’re satisfied with the result. If Bird is being resistant, we will take your case to court to prove you deserve a fair verdict. Call our law group today to set up a free legal consultation with a qualified lawyer. If you have questions, we’ll answer them, no matter what the content – the legal process, what is allowed while riding a scooter, what Bird lawsuits have yielded before, and more. We’ll also tell you what we think your claim is worth and what we could win for you. All of our consultations are confidential, and none of your private details will be shared anywhere else outside of our offices. 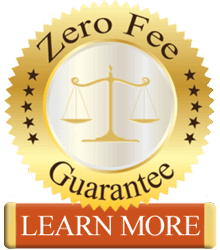 If you hire us to litigate your lawsuit against Bird, we will give you our zero fee guarantee, which promises that you won’t have to pay any personal expenses for legal means. We’ll cover the costs of the case, and if we win, the settlement we bring you will have a portion taken out to cover our fees; Bird will essentially cover your legal bills. If we lose, you owe us nothing, and we eat the losses ourselves. Don’t hesitate to contact a Bird scooter injury attorney today. Our lawyers at Kenmore Law Group will be glad to assist you.